Right before Summer heats up, the premier Japanese fighting organization will put on their first fiery card of 2018 on May 6th. 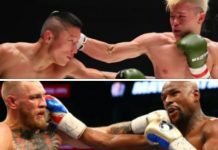 Perched atop of the card will be two former UFC fighters going at it in what may be the highest level of MMA to take place within the RIZIN ring. Newly crowned RIZIN bantamweight grand prix champion Kyoji Horiguchi will take on former UFC flyweight title challenger Ian McCall. 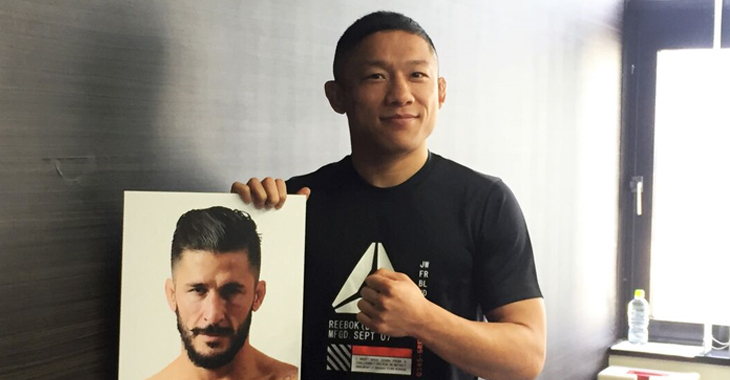 Respectful Horiguchi is eager to test his skills. 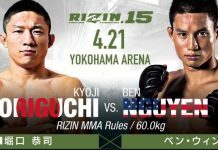 have been training hard, and I will be ready to take on everything he delivers.” — Kyoji Horiguchi via official RIZIN press release. 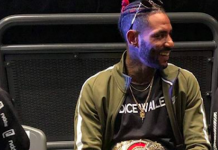 Ian McCall was the favorite to face Kyoji Horiguchi in the finals of the bantamweight tournament, but his head was sliced on the ring ropes and he lost his fight with Manel Kape. Just when it looked like his luck had reached its all-time worst, fate shines on McCall and he gets the the fight with Horiguchi anyway. This is not only a huge shot a redemption, but a way to prove he’s still one of the very best in the world. 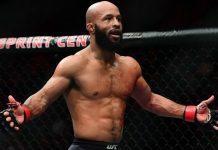 At 23-2, Horiguchi’s fight with McCall is the next best thing to a Demetrious Johnson rematch.